Visit our Plano location |Quality Appliance Heating Elements ! 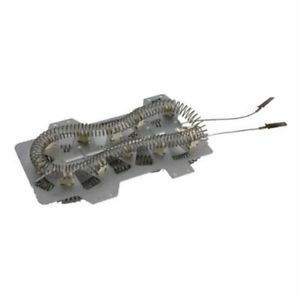 need Samsung Heating element Dc47-00019A near dallas, tx? If your Samsung Dryer stopped heating then there is a big chance that your heating element is broken and needs to be replaced. Usually you can tell when this element is the problem because your dryer will still tumble but no heat will be produced. Once you verify that you do not have continuity then call us to order a new appliance part for your dryer. If your heating element tests good then you will need to check your high limit thermostat to make sure it is in working condition. Regardless of the dryer part you need you can call us to find the part you need.